All suites are non-smoking and the resort is a non-smoking property (including hallways, common areas, patio deck and pool area). Smoking is only permitted in certain designated exterior areas on the property. These designated areas are outside on the north side of the building “tuck-under” area in the middle of the two buildings and outside at the east end of the balcony area, second floor adjacent to the pool deck and construction area. Please remember, the resort is a smoke-free property and VIOLATORS WILL BE ASKED TO VACATE THE PROPERTY. 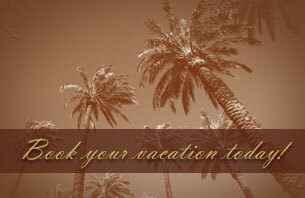 If your plans change, such as needing to cancel, reschedule or are arriving a day or so late, please contact the resort. On the third day, if an owner or guest has not arrived or called the resort, the remaining part of the reservation may be cancelled to open time for other owners and guests. The resort makes a diligent effort to reach owners and guests on the second and third day of a No-Show; however, if the resort cannot and the owner or guest has not called the resort directly, the resort has to release the time. If the owner or guest forfeits their week, the resort cannot reschedule. Remember, it’s important when making a reservation to leave current contact information (i.e. cellular telephone number, email address, mailing address, alternate contact numbers, etc.) in case of situations like this and/or during emergencies. The resort team is here to help you. If you have questions about banking, rescheduling, or reserving time, please call the resort team. Please remember campers, motorhomes, trailers, boat trailers and the like are not allowed on the property. The resort does not have a restaurant on-site. Sorry, although we love animals, pets are not allowed at the resort.